Begin by clicking Add new below the editor window. 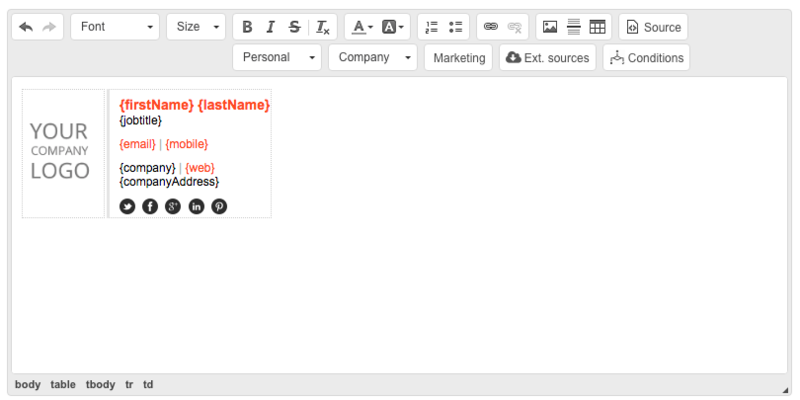 Now name your new template and choose if you want it to be based on the default template or you will choose its design later from the predefined templates. If you chose Empty template, you can now browse the predefined templates or use your own design. If you chose default in the Based on template window, you essentially made a copy of the default template. You can use this later to make copies of any templates.